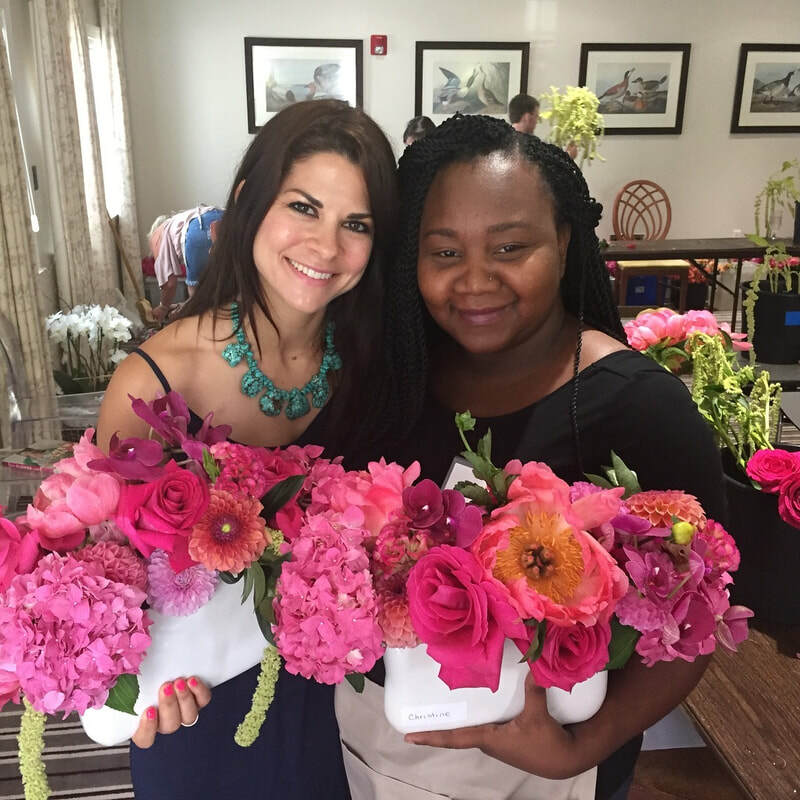 Named Top Floral Design Classes in the country by Vogue Magazine! 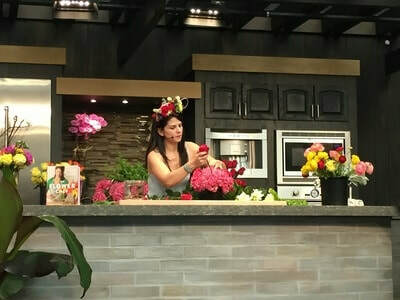 We teach fundamental techniques that can be translated into any design style from modern to rustic. 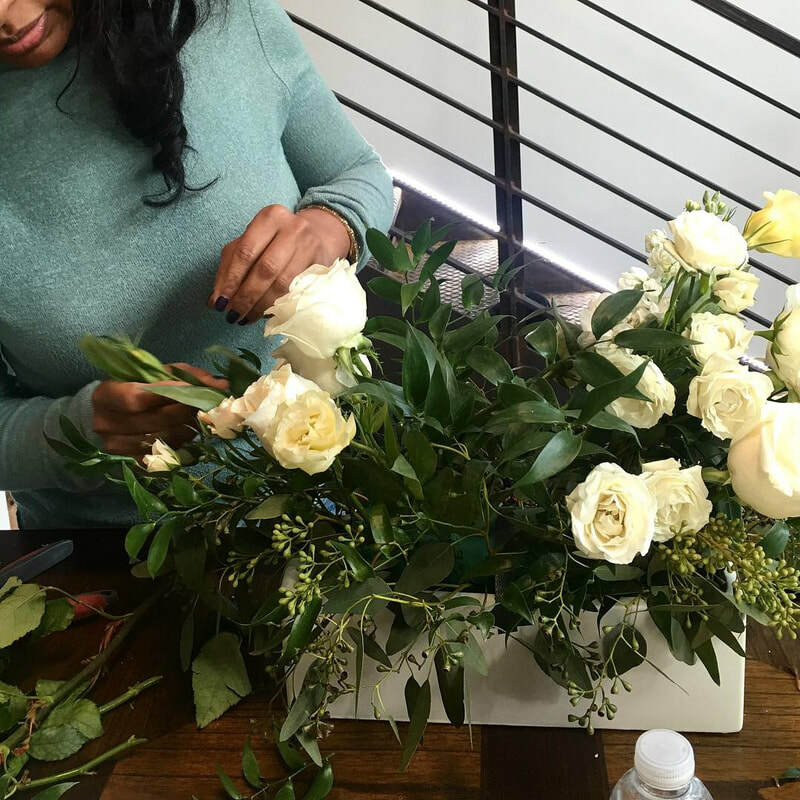 Students are encouraged to discover their own style, and then are guided one-on-one to create a professional looking arrangement. 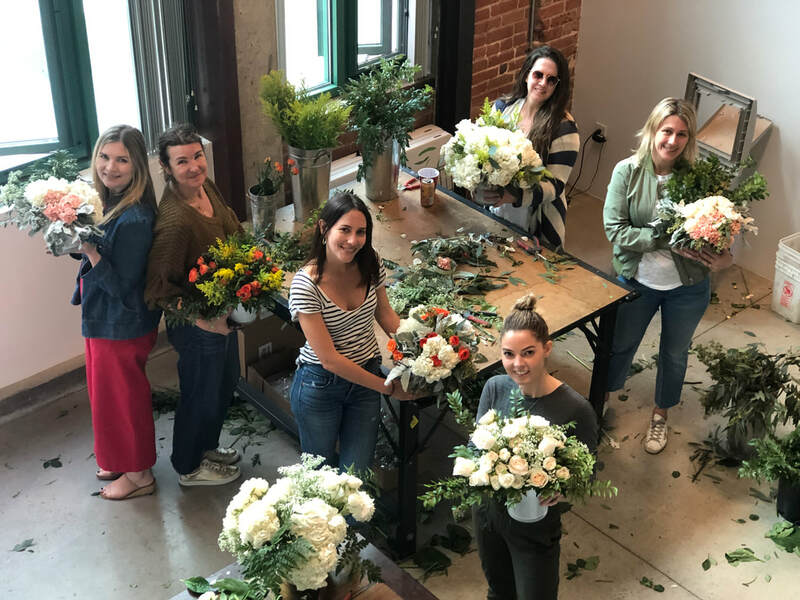 Private classes, teambuild activities, and floral design parties for individuals, groups, and companies can be scheduled. 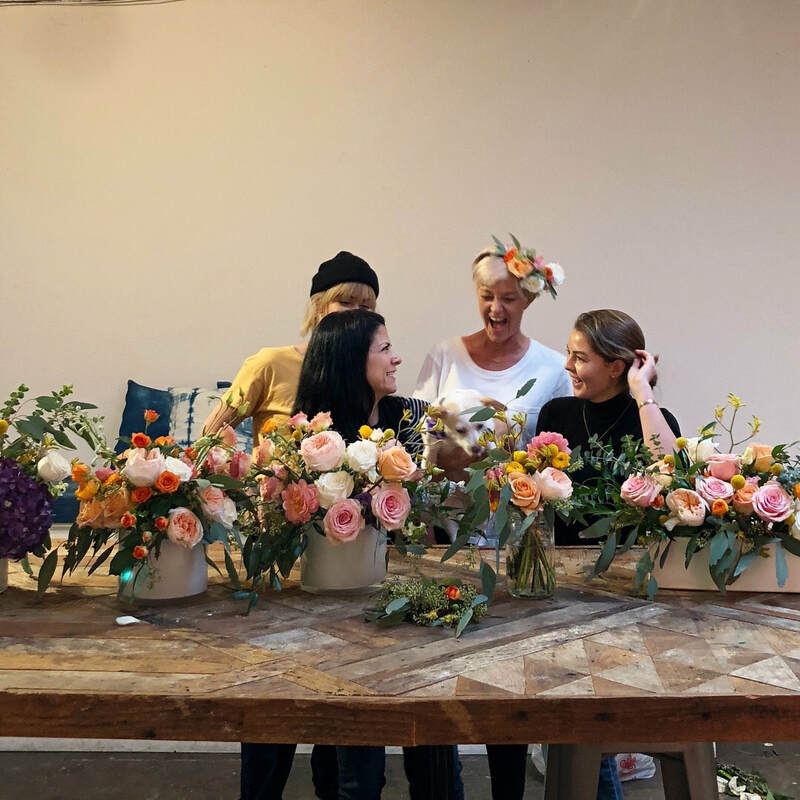 Classes can be tailored to learning the basics of floral design, the business of starting a florist, wedding DIY (a complete order list will be provided), advanced techniques, flower sculptures, or anything else you want to learn. 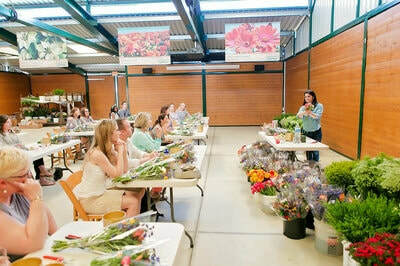 Students leave learning more in one day than a week at flower school! 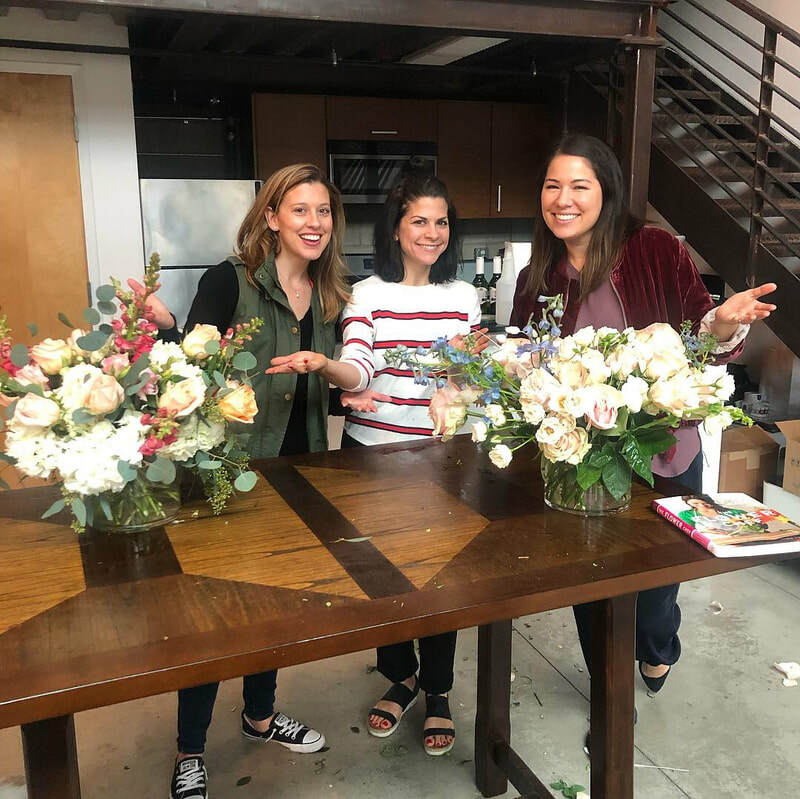 We offer classes with Flour LA Lead Designers and with owner Carly Cylinder. 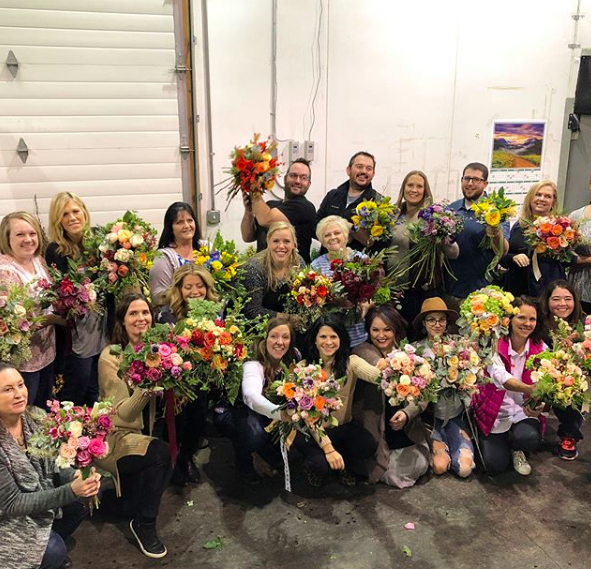 We supply all of the flowers, materials, and tools. 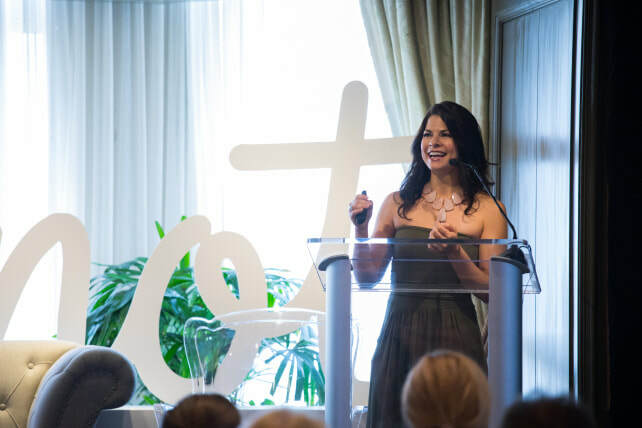 Just bring a smile:) Carly teaches all private NYC classes. 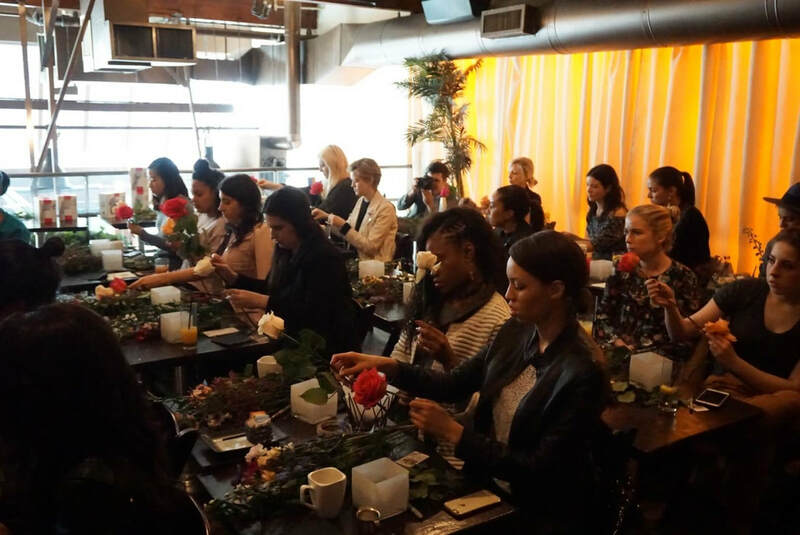 Prices are higher in NYC because of the cost of flowers. Last 1.5-2 hours and cover 2-3 techniques and designs. 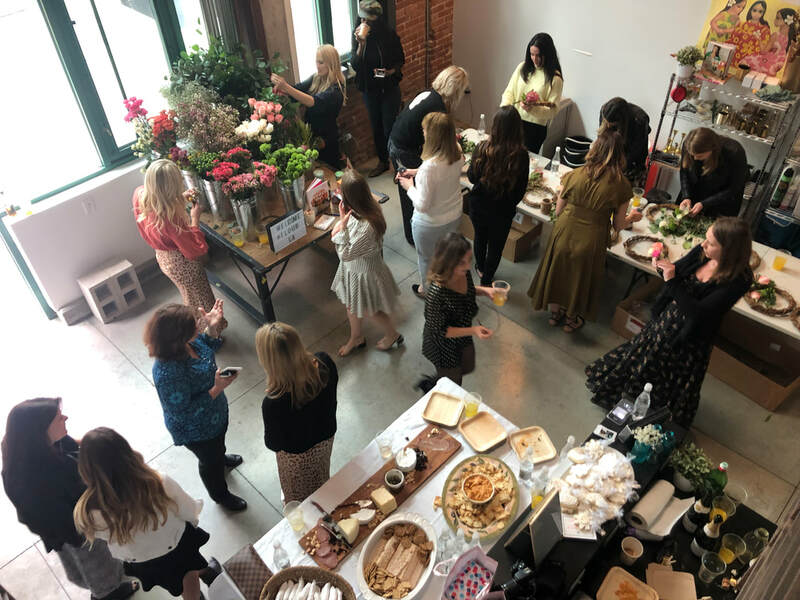 You'll leave with an arrangement to take home and enjoy! Last 3-4 hours and cover 5-6 techniques and designs. You'll leave with two arrangements to take home and enjoy! 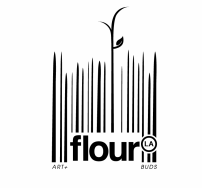 To schedule a class, email info@flourla.com with your preferred date, time, and instructor. 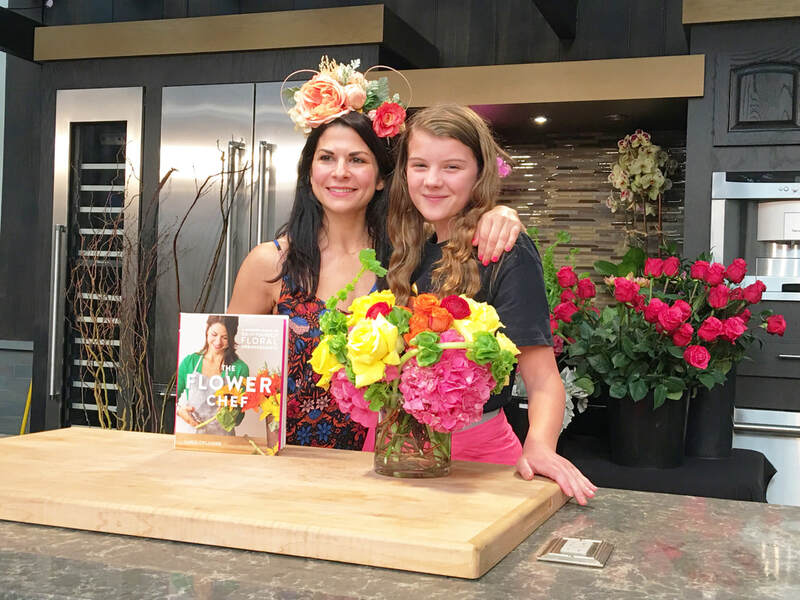 We can't wait to see you soon! 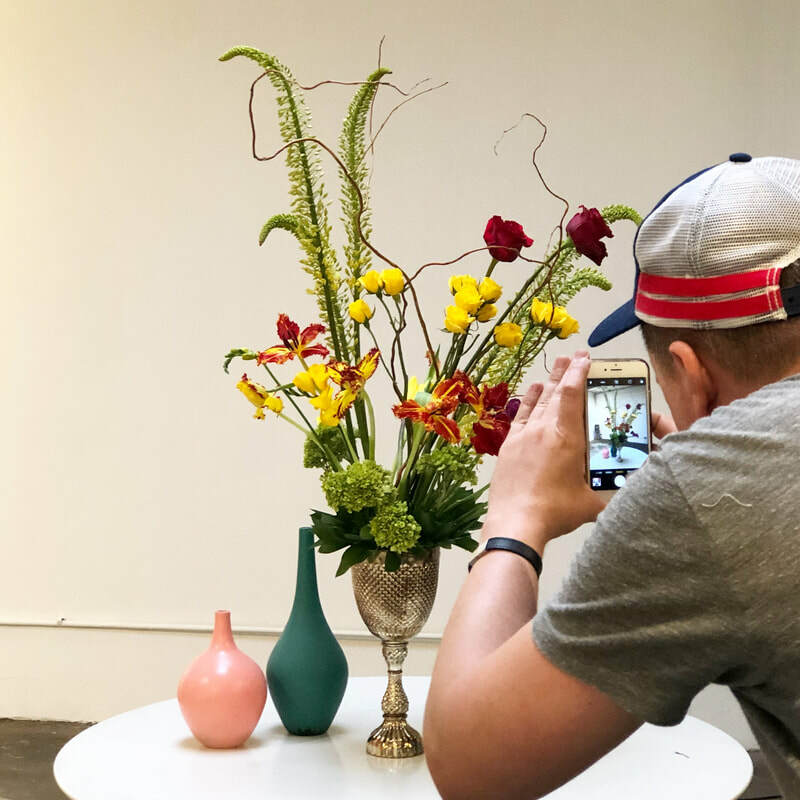 LA classes are held at our studio space in the Arts District (downtown) and NYC classes held at our studio space in in the flower district (28th St between 6/7th Ave). Classes are non-refundable, but can be transferred to another person. 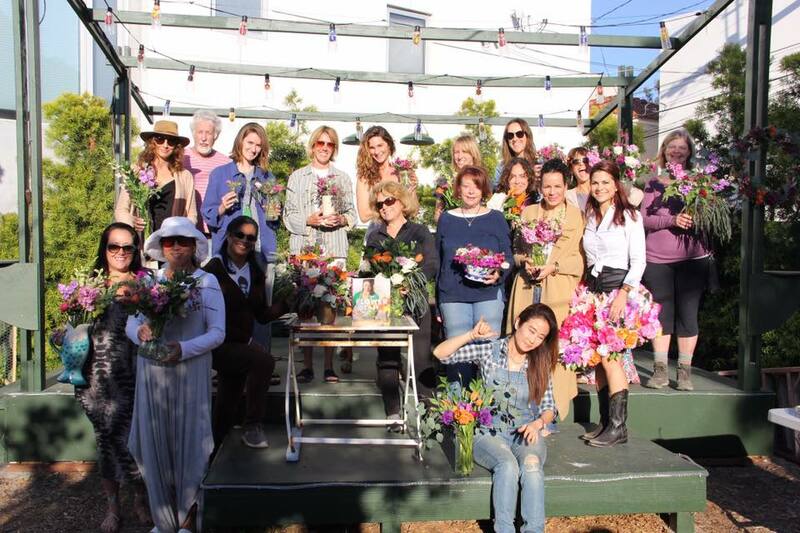 The class is tailored to what you want to create! 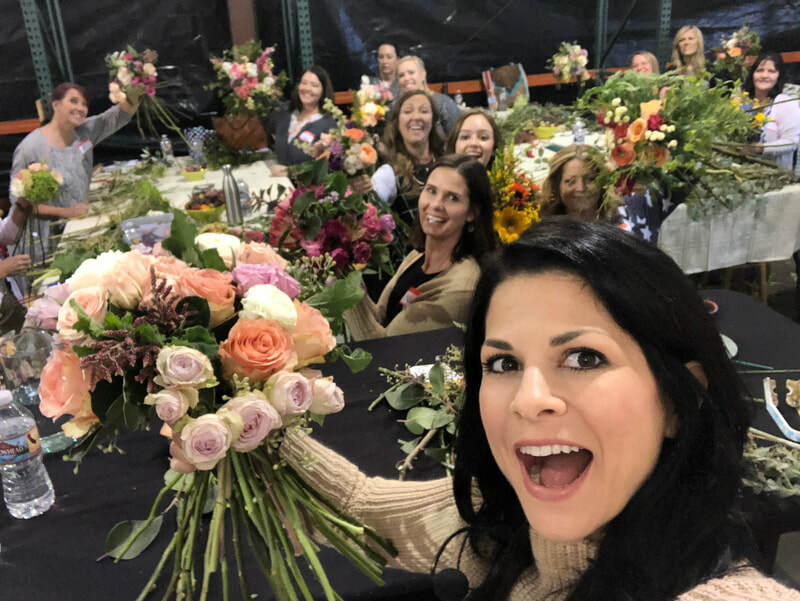 Enjoy a private group flower arranging party. 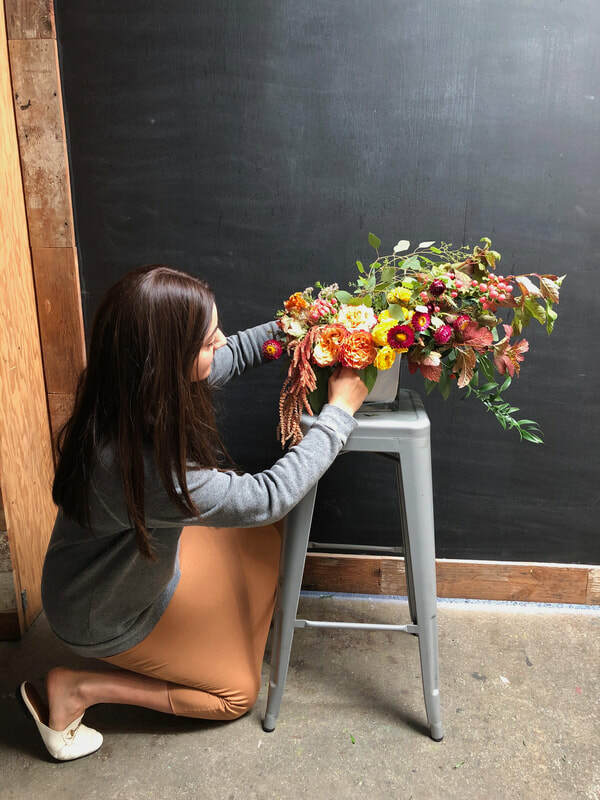 Most choose beautiful centerpieces, but we can do any type of arrangement, holiday, or theme you'd like. 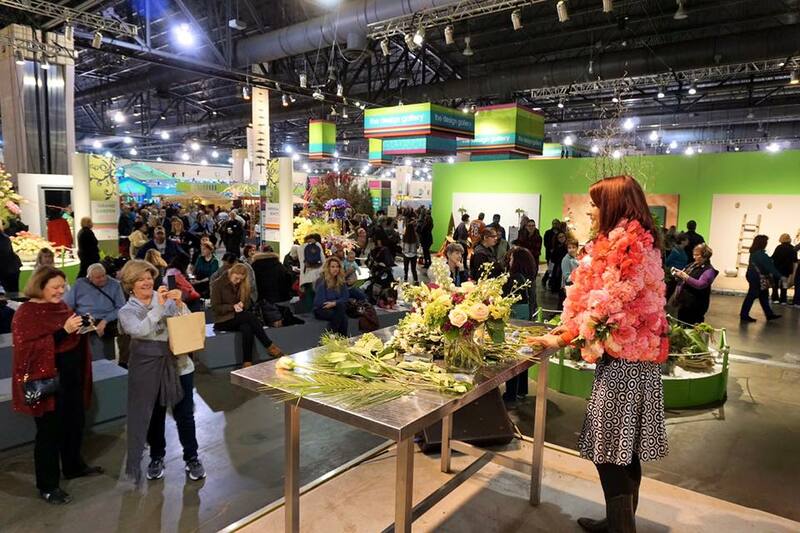 All inclusive of flowers, vases, tools, labor and designers! There will be one main instructor plus one design assistant. 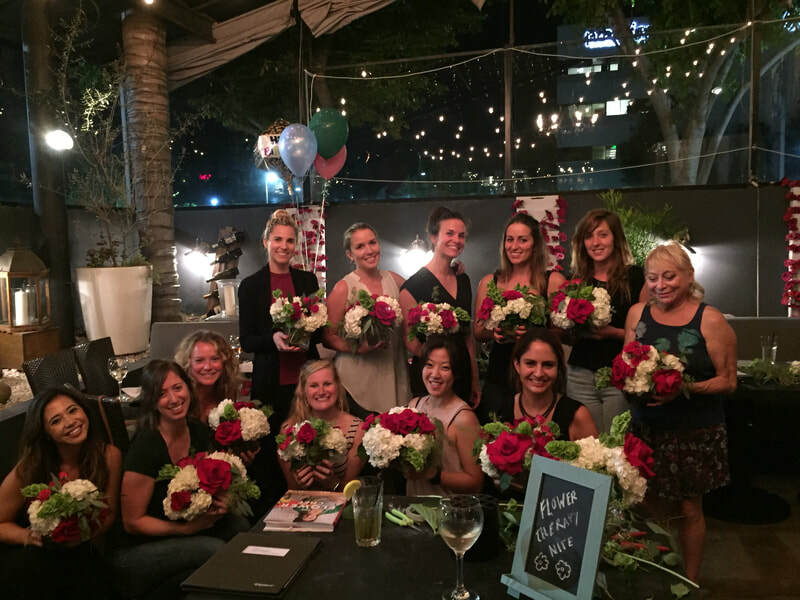 Extra design assistants for larger parties over 20 people will have a small additional cost. 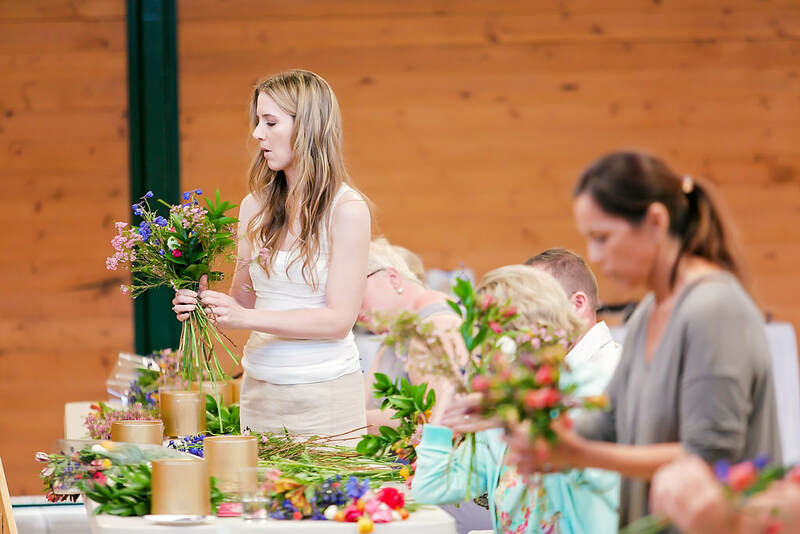 Our activities are perfect for any occasion. We can match the colors to any theme, season, or holiday. 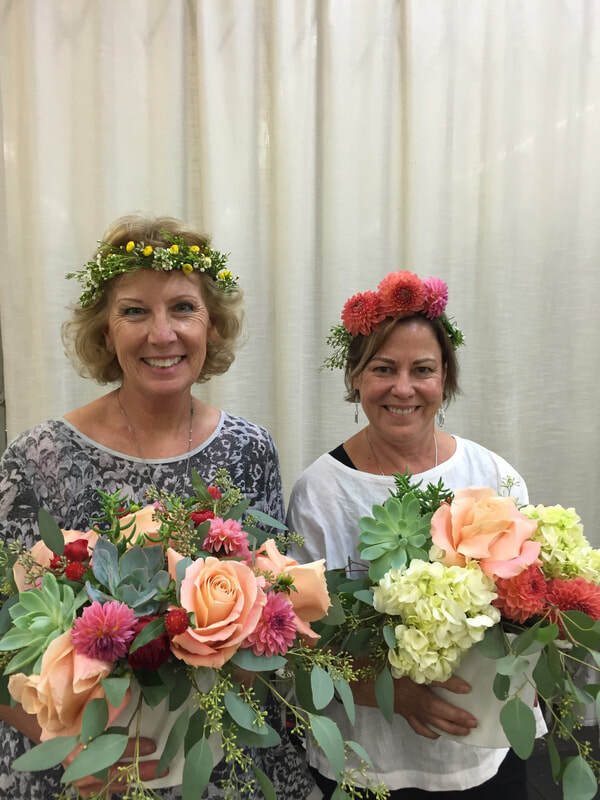 Create a stunning floral crown or a wreath that will dry well and last forever! 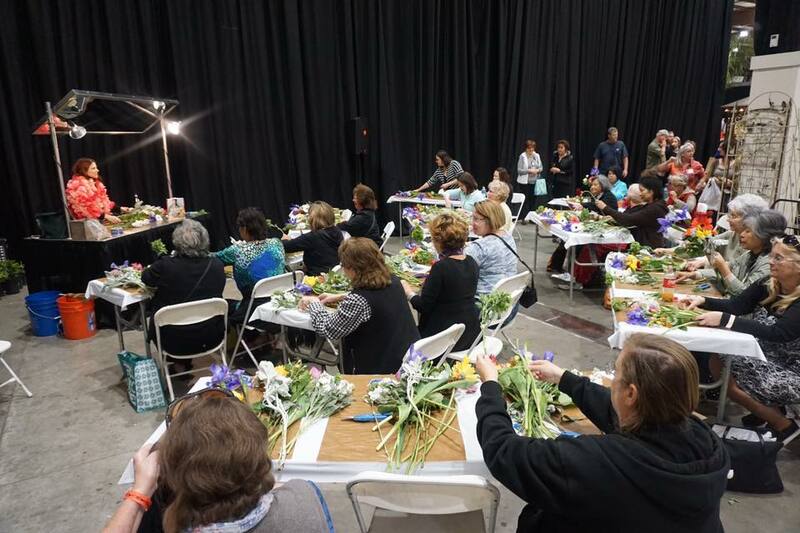 All inclusive of flowers, materials, tools, labor, and designers! There will be one main instructor plus one design assistant. 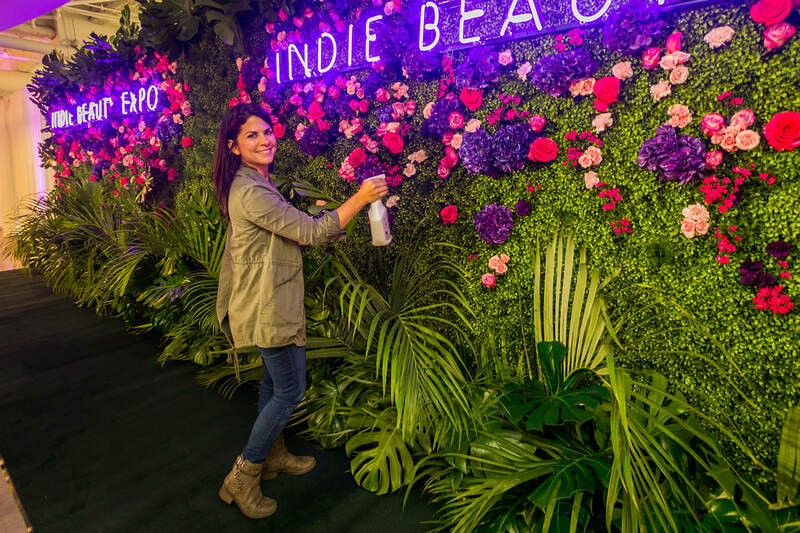 Extra design assistants for larger parties over 100 people will have a small additional cost. For kids parties, please include the adults attending who will also want to participate. 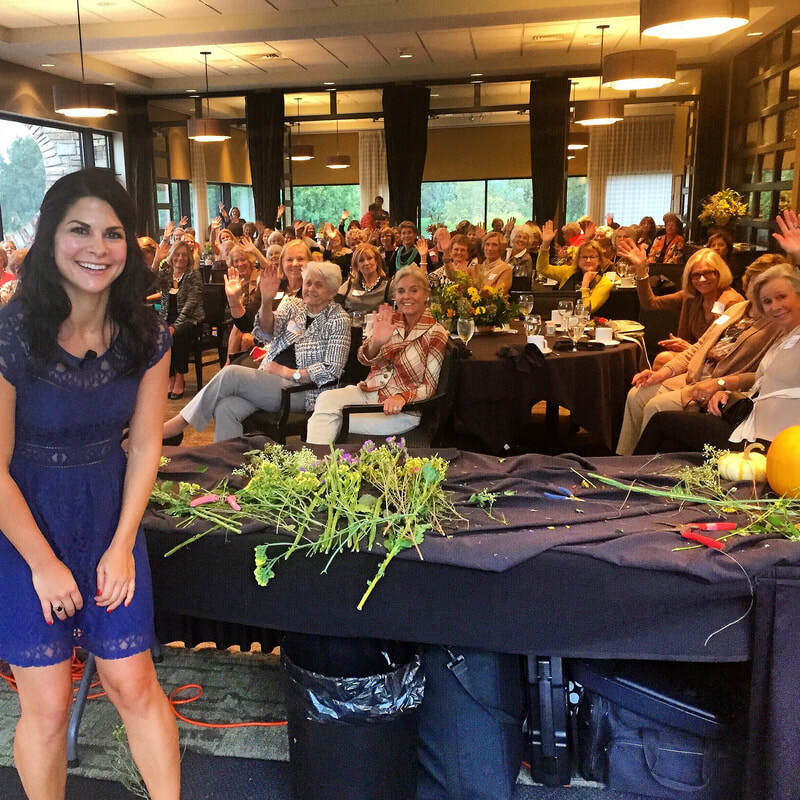 For larger group sizes over 100 people for charity events, galas, weddings, etc, please contact us for a quote! We can generally handle up to 1,000 people. 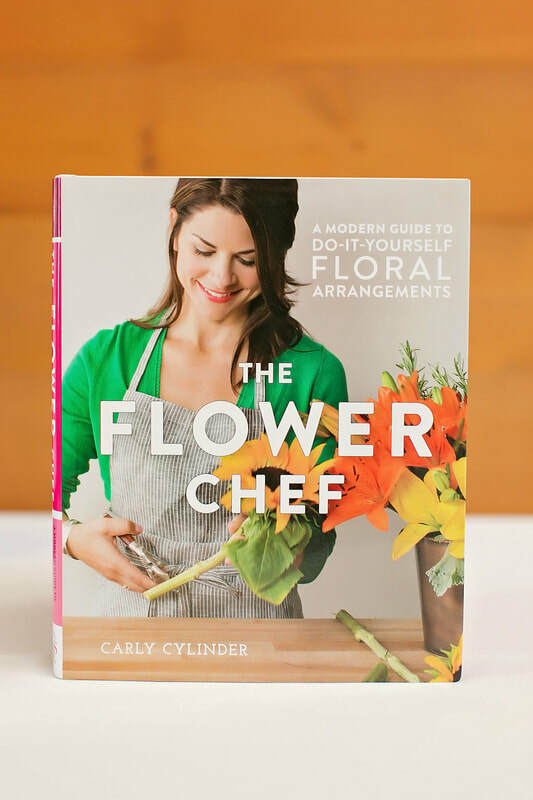 THE FLOWER CHEF is a modern, comprehensive guide to floral design that caters to all readers--from beginners who have never worked with flowers before and are looking for a new creative outlet, to decorators, party planners and photographers looking to liven up their spaces. Even professionals will find ways to update their techniques! 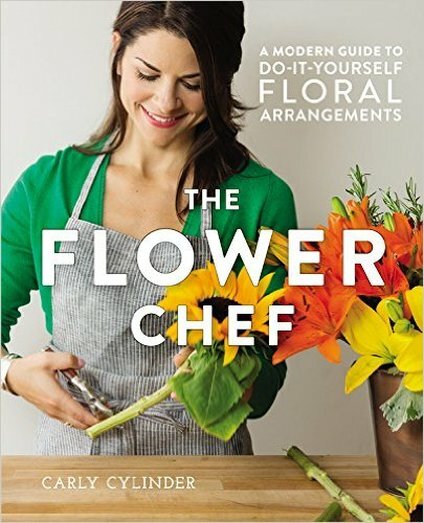 This book teaches you everything you need to know about flower arranging including tips on how to buy and care for flowers, how to cut and prepare them, and how to use floral foam, vases, and various other decorative elements in your arrangements. 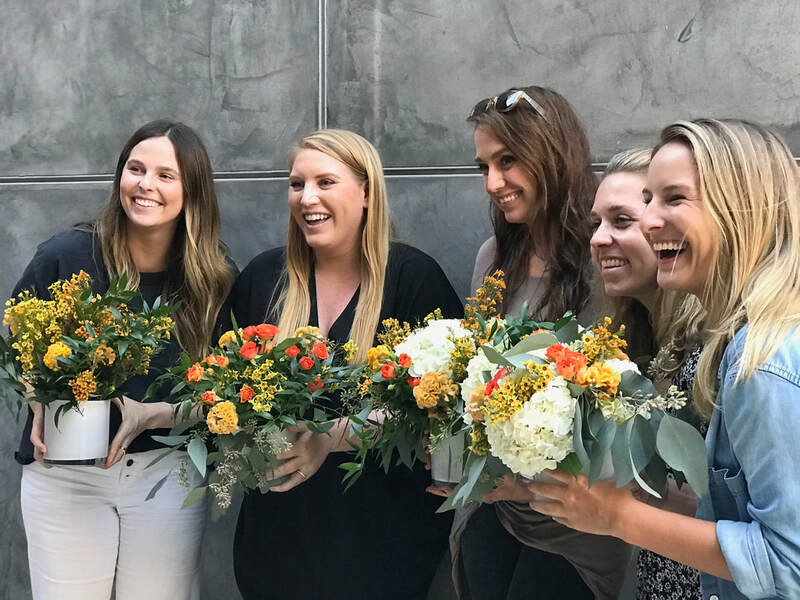 Filled with beautiful photographs and easy-to-follow instructions on how to create over 80 different arrangements, this is the go-to guide to floral design that every flower lover will want to add to their collection.